A long time ago in a galaxy far, far away, Sen. Marco Rubio (R-FL) partnered with Sen. Chuck Schumer (D-NY) to pass a comprehensive immigration bill that would grant citizenship to millions of illegal aliens. That was then – a little over a year ago. Today, in an interview with Breitbart News, the Florida Republican berated President Obama for considering unilateral amnesty, shifted cleanly against “comprehensive” reform, and said the U.S. shouldn’t even debate citizenship for illegal aliens until the border is secure. “I continue to believe our system needs to be reformed and I’ve learned in the last year that because of such an incredible distrust of the federal government no matter who’s in charge, the only way you’re going to be able to deal with this issue is by first securing the border and ensuring that illegal immigration is under control,” Rubio told me. A likely candidate presidential candidate in 2016, Rubio sent Obama a letter Tuesday outlining his break from a comprehensive approach to the problem – pairing border security with a years-long path for illegal aliens to eventually obtain citizenship. He also told the president to back off from a rumored plan to expand unilateral amnesty, awarded in 2012 to individuals who came to the U.S. illegally as minors, to as many as five million people. “If the president goes through with this executive action that he’s threatening, not only does it raise very serious constitutional issues but in my opinion it sets back the cause of reform for a long time. It would just further exacerbate people’s lack of confidence in the government’s willingness to enforce the law, and I also think it would continue to add to the ambiguity of the laws that have created the humanitarian crisis that now exists on the border with unaccompanied minors. That’s not me saying it. It’s the presidents of Guatemala and Honduras, when they came to Washington a few weeks ago–when they said it’s the ‘ambiguity’ of U.S. laws created by the executive action of two years ago plus the humanitarian human trafficking law that was passed in 2008,” Rubio said in the interview. Obama should wind down and eventually stop the 2012 program, called Deferred Action for Childhood Arrivals (DACA), Rubio said. “I’ve got three points. The first is, it definitely should not be expanded to cover a new category of people–which is the purpose of this letter. Number two, it should not be–by a date certain, whether it’s August 31, September 1, October 1, at that point the program needs to stop taking new applicants. If you haven’t applied for it by a certain date, you’re probably not interested in it,” Rubio said. “The third thing is that program that people are on now, it cannot be the indefinite policy of the United States. At some point, the DACA program has to come to an end–it cannot be the permanent way forward on this issue. I’m willing to be reasonable about when it comes to an end, whether it be two years, one year, six months, three [years]–but it has to come to an end. 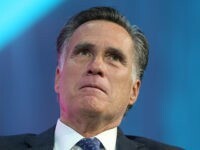 It cannot be the indefinite policy of the United States,” he added. Rubio’s interview with Breitbart News comes after a “Sister Soulja”-type moment in which he confronted DREAMer illegal alien activists in South Carolina that tried to heckle him, drawing raucous cheers from a crowd assembled for key conservative Rep. Jeff Duncan (R-SC). He also joins rivals in the crowded 2016 field who are using increasingly aggressive rhetoric about immigration following a sharp change in the political landscape in large part from the border crisis. Sen. Ted Cruz (R-TX) led an effort alongside Senate Budget Committee ranking member Sen. Jeff Sessions (R-AL) a few weeks ago to pass a bill through the House that would kill DACA. Sen. Rand Paul (R-KY) backed Sessions’ push for a Senate vote on that House-passed bill during an interview with Breitbart News in Guatemala after telling that country’s president that Obama’s immigration policies are the cause of the border crisis in America. The political shift, not to mention the brutal politics of passing the “Gang of Eight” bill through the Senate, had taken its toll on Rubio’s standing in key states like Iowa, and he seemed to acknowledge that his support for the bill had run up against a political buzzsaw. “As you know, and I know we disagreed on it, I don’t think anyone on our side has been more involved in immigration over the past year and a half,” he said. Even in the months following Senate passage of the bill, Rubio began to show doubts, and even came out against a House-Senate conference committee on the bill, significantly slowing its momentum. But in the interview with Breitbart, he made a far more dramatic break with the very idea of addressing the various aspects of immigration in a single legislative package. 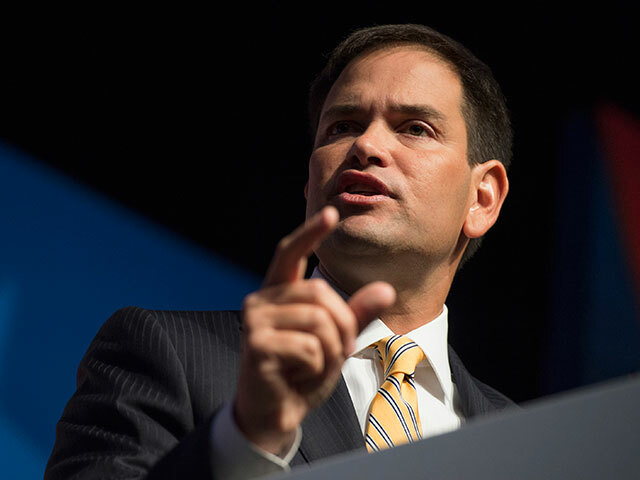 “Not just piecemeal, it has to be sequential,” Rubio said about how the issue could be addressed in the future. “It has to be a sequence. The sequence begins by trying to get under control the illegal immigration problem. People aren’t going to be willing to do anything else on immigration until they believe illegal immigration is under control. And in my mind that means strategic sensing, cameras, more personnel on the border, that means E-Verify. That means an entry-exit tracking system to find those who entered legally and end up being here illegally because they overstayed visas. Rubio added shortly thereafter that he now thinks there cannot even be a “debate” or “conversation” about what to do with those who are here illegally until after the flow of illegal immigration is stopped and the country’s legal immigration system is fixed. The major driving force behind Rubio’s shift away from support of comprehensive immigration legislation is a national distrust of the federal government. That powerful grassroots-level disdain for Washington, D.C., he said, permeates all issues–not just immigration. Rubio said that Senate Majority Leader Harry Reid should not be allowed to block votes from happening on this issue, or any issue, simply because he’s trying to protect vulnerable Democratic senators from taking a stand on a tough issue. Rubio said Republicans should fight the president’s executive amnesty using the budget process, as the Congress needs to pass a Continuing Resolution to fund the government when both chambers return from recess in a couple weeks. Rubio added that he thinks if the president carries through with this threat, the Senate will undoubtedly go Republican in a major way in November.